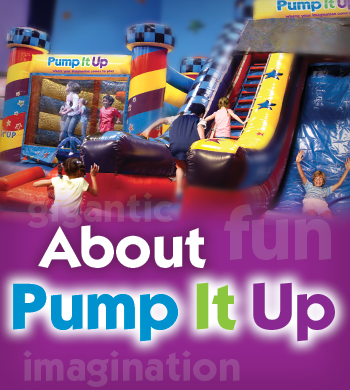 Pump It Up of Beaverton is the original Inflatable Party Zone serving the entire Portland Metro Area. We host PRIVATE fun entertaining parties for ALL ages as well as have open jump times during the weekdays. Our public open jump session is on our events page of our calendar and are updated daily. We schedule our open jump 3-5 days in advance to work around our private parties. I opened Pump It Up in Beaverton (serving the Portland area) in 2004 when my daughter was just 4 months old. I knew as a Single Mom this was the perfect business to run and raise my daughter. She enjoyed many parties at Pump It Up with our gracious customers! I opened up the Pump It Up Junior in Beaverton on Bethany & Cornell in 2007 becasue it was obvious we needed a location specifically for just the little ones. As a Mom I am doing my best to understand the needs of the community and families. Please drop me a line if you have any questions or comments at or.beaverton@pumpitupparty.com. I welcome your suggestions!